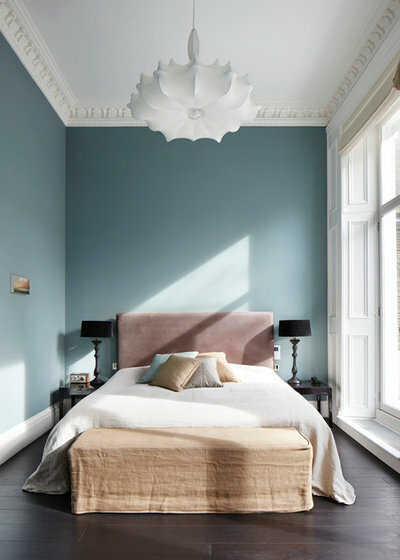 Houzz Quiz: What Colour Should You Paint Your Bedroom Walls? 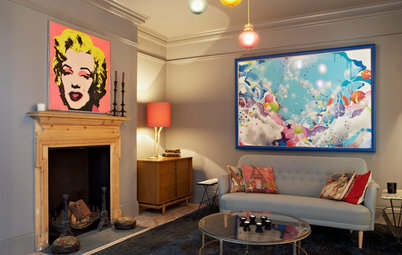 San Francisco-based architectural color specialist and design writer. Jennifer's work has been featured in many print and online publications. Her recently-published book, "1000 Ideas for Color Schemes," is a beautifully illustrated and easy-to-navigate guide that takes the guesswork out of selecting the perfect color palette for your home or special event. 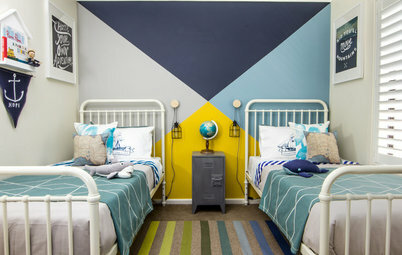 For more information on Jennifer Ott Design, visit http://jenottdesign.com/. 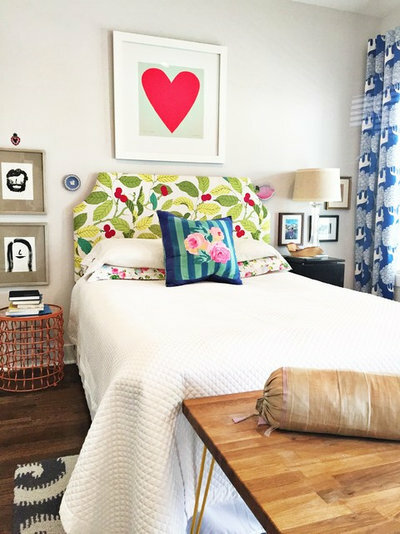 We spend about a third of our lives in our bedroom, so it’s a space worth investing in. An easy way to do that is with a fresh coat of paint. But where do you begin? Do you need a soothing blue? Or an energising yellow? Take our quiz and find out which colour is perfect for your bedroom. 1. Which of the following best describes your natural sleep pattern? 3. How do you sleep at night? Sleeping is no problem; it’s staying awake that I struggle with! Yellow: Not a perky morning person, eh? Fake your way into the new day by surrounding yourself in this energetic, optimistic hue. 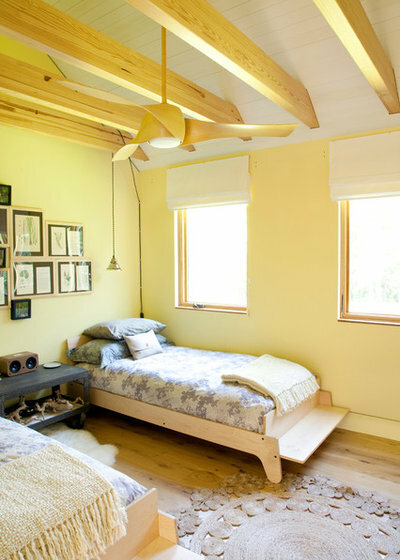 Go bold with a bright and lively yellow or, if you prefer a more subtle yellow glow, go for a lighter, softer hue. 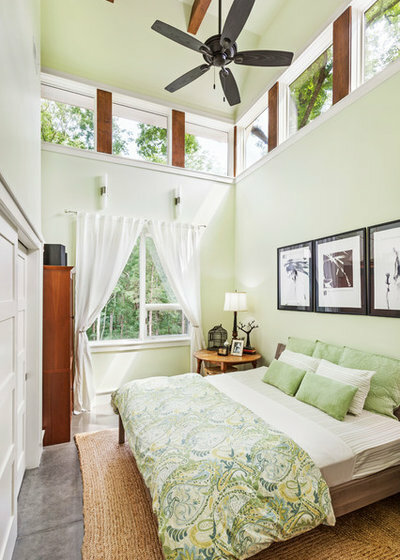 Green: You are a happy, fun-loving person so a green bedroom is perfect for you, since the colour represents youthful vibrancy and positivity. 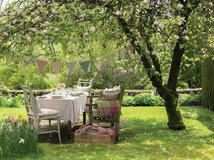 It’s the colour of spring, rebirth and reinvention. 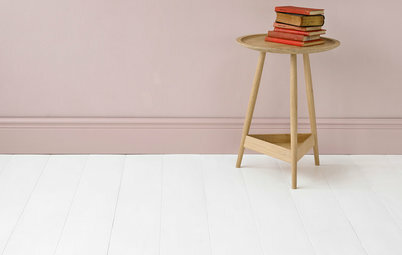 It’s also thought to be a stress-reducing hue, so it can be a great choice in a bedroom. 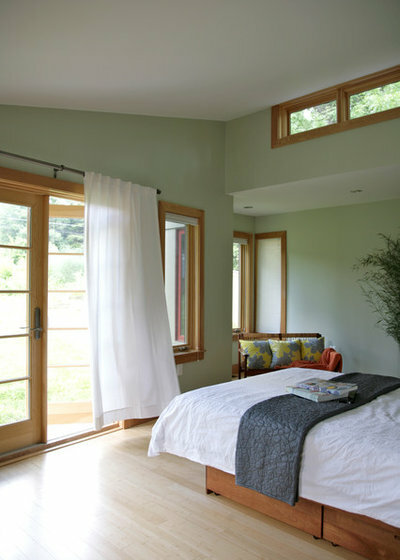 Rev up your room with a bold, fun green or, if you prefer softer greens, try a more subdued yet fresh sage colour. 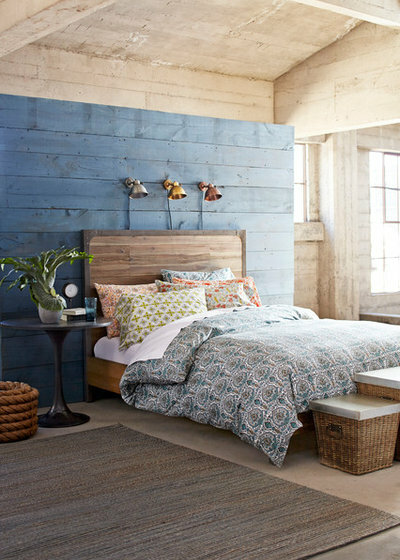 Blue: You tend to run on all cylinders, all day long, so you need a bedroom that can serve as a sanctuary – a restful place to relax at the end of a hectic day. 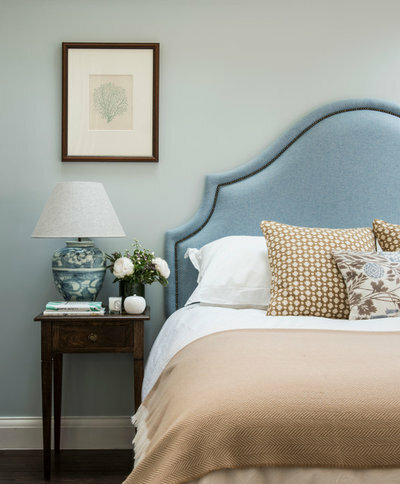 Blue is the perfect bedroom colour for those seeking a calm and soothing vibe, as cool blue hues tend to lower our blood pressure and reduce feelings of anxiety. 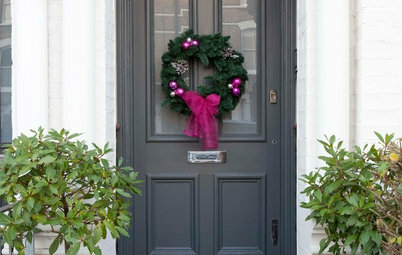 For a calm, cool, collected blue, try Parma Gray by Farrow & Ball, or you can go a little deeper if you fancy. Grey: You are stylish and sophisticated and want a bedroom that reflects that, but you also want to be able to relax and get a good night’s sleep. 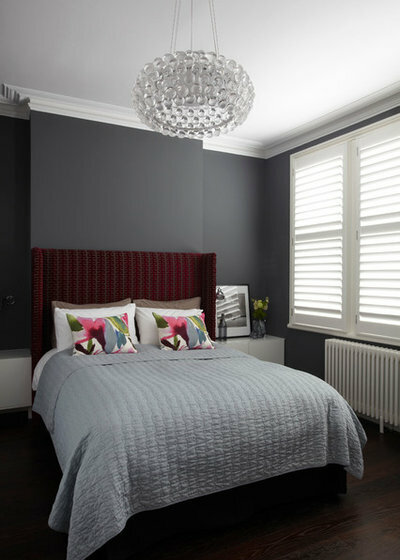 Grey hues are a great choice in a bedroom because of their cool, soothing and neutral qualities. 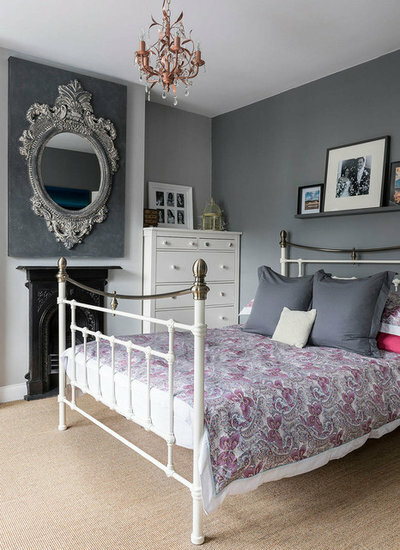 If you make grey the main hue in the room, go for a deeper colour. If you want grey to serve as a backdrop for other more dramatic colours, try a softer tone. Orange: You are outgoing and uninhibited and your bedroom should reflect these traits. Orange hues tend to flatter most skin tones, so surrounding yourself with this colour can offer a nice little boost of self confidence – not that you need it! Orange is also associated with spontaneity and having a positive outlook on life, so what better way to celebrate your wild side than by painting your bedroom walls orange. Go with a deep shade like the one shown here, or keep it light. You missed it! A true GREY/GREY walls with accents of Burgundy both solid and striped. No fan just 5 lite chandelier, walnut wood, antique 3 part mirror and several pictures of florals. Pr antique Chinese lamps on dresser. Pr bachelor chests flanking kingsize bed with oodles of pillows. Burgundy shades and sheers on 3 windows and 3 live plants. Fainting couch at base of bed in white w/pillows. Its a WOW bedroom but still feels cuddly. Ask a Designer Ask a Designer: How Can I Play With Colour? 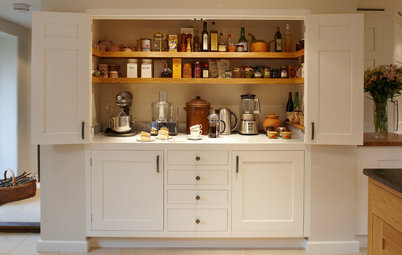 Most Popular Which are the Most-saved Photos on Houzz UK? Here are the top 10 revealed! Are your favourites among them?